The station (or stational) churches are specific churches in the city of Rome that are designated to be visited by the pope or his delegate on a particular day of the Lenten season. This practice dates to as early as the second or third century. Seeking to bring greater unity to the city with different groups, the pope began visiting the parishes these groups belonged to in an effort to forge a greater unity. As time went on, this informal pastoral practice became more formalized. Pope St. Gregory the Great (who died in 604) standardized the list of churches visited during the Lenten season. Preparation for the season for these churches to be visited began weeks ahead of time. The three major basilicas outside of the walls of the city were visited with Mass celebrated in each. This formed a ring of prayer around the city. With the beginning of Lent, people began a daily custom. They would gather in a church with the Holy Father for prayers and a procession to the stational church of the day with Mass celebrated there. Choosing the word stational may seem a bit odd. Christians of the Middle Ages chose this word intentionally. For them the prayer and fasting of Lent that accompanied these daily processions and Mass was as serious as the soldiers who would stand at their station, guarding the town from attack. With the Avignon Papacy, this practice fell off. The Council of Trent, however, revived this practice of the station churches and modern popes too have given their support to this ancient custom. Today, the pope only goes to the first station church on Ash Wednesday: St. Sabina Church. There he preaches and distributes ashes to mark the beginning of the Lenten season. Both residents and visitors, however, still visit the stational churches in honor of this venerable custom and to receive the special favors granted to them when they make the visit. Also, the custom of the stational churches has been expanded today to 89 churches. While a majority of these are to be visited in Lent, there are also churches designated to be visited on Sundays of Advent, during the eight days following Easter and on other special days. 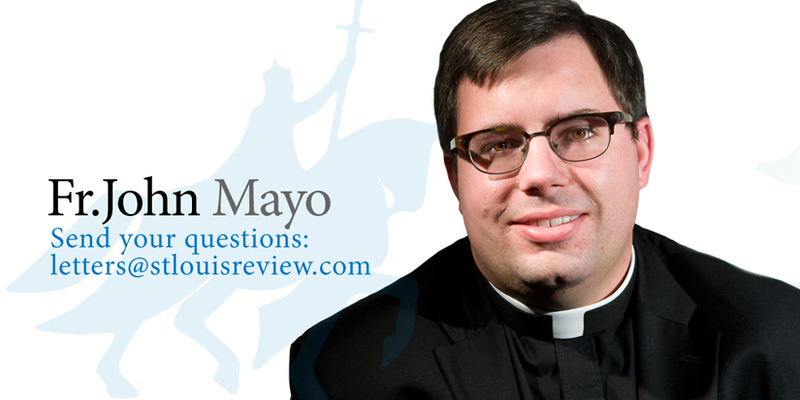 Father Mayo is pastor of St. Raphael the Archangel Church in south St. Louis.